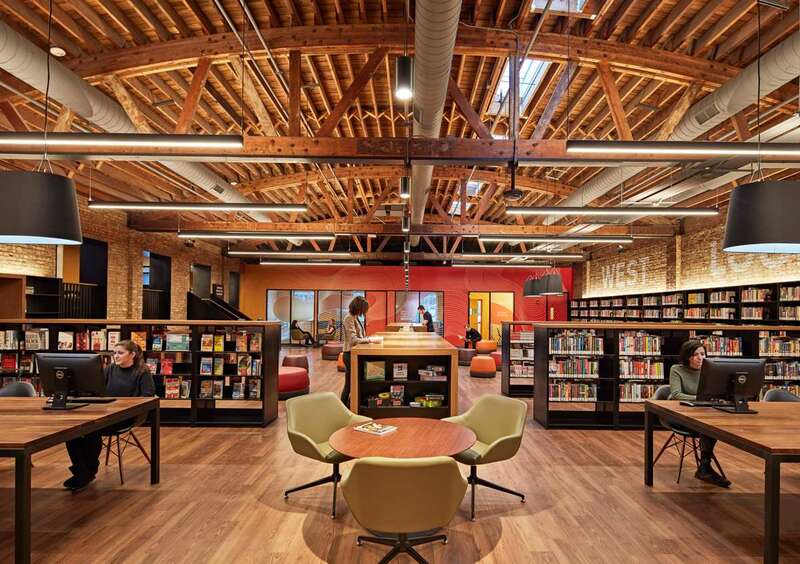 Architecture firm Skidmore, Owings & Merrill has converted buildings in a former industrial district into a public library in Chicago, where original brick walls and bow trusses are on full display. 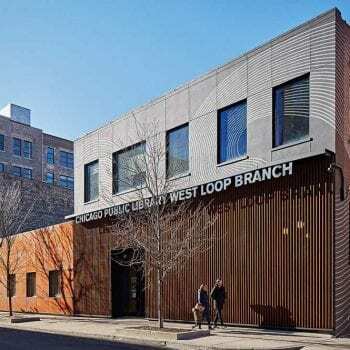 The West Loop Branch library is named after its location in the city’s West Loop neighbourhood – a former industrial area that is now brimming with residential towers, office buildings, restaurants and shops – and marks the first public library in the area. Encompassing 16,500 square feet (1,533 square metres), SOM’s library occupies two conjoined structures that formerly housed television studios and offices. The brick structures were part of the campus for Harpo Studios, the multimedia production company started by celebrity, and Chicago local, Oprah Winfrey. The company moved to West Hollywood in 2015. One structure dates to 1945, while the other is believed to have been built in the 1920s. 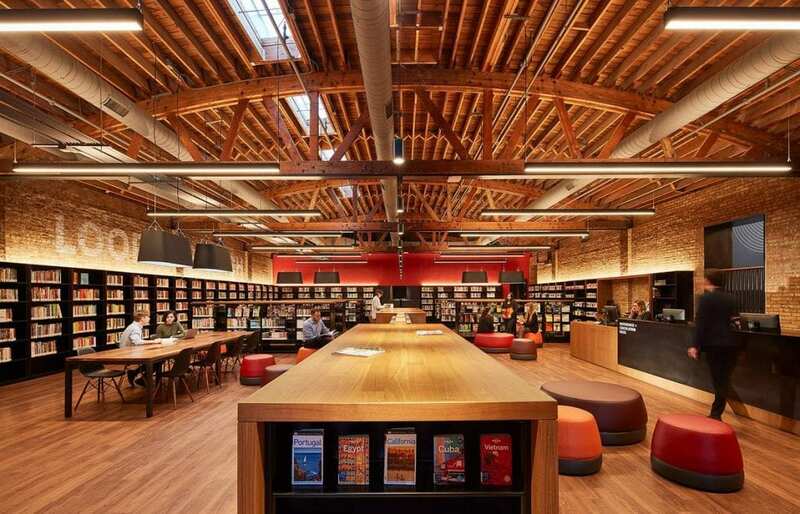 While conceiving the library, the architects sought to retain original elements and respect the site’s history. “The two-story, adaptive reuse project preserves the building’s industrial character, while creating a new cultural and social centre for the neighbourhood,” said SOM in a project description. On the front facade, the lower portion is clad in pre-rusted steel that will continue to weather over time. On the upper portion, original stucco was painted grey and overlaid with circular graphics that allude to sound waves. 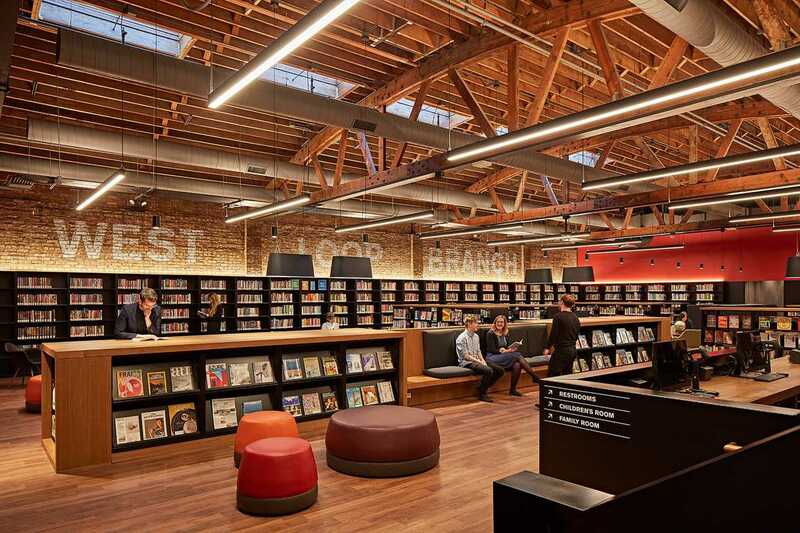 Inside, the building contains a range of programmatic areas, including adult and children’s reading spaces, flexible meeting rooms, and a digital learning space for teens with a recording studio. There also is a Tinkering Lab for young children. 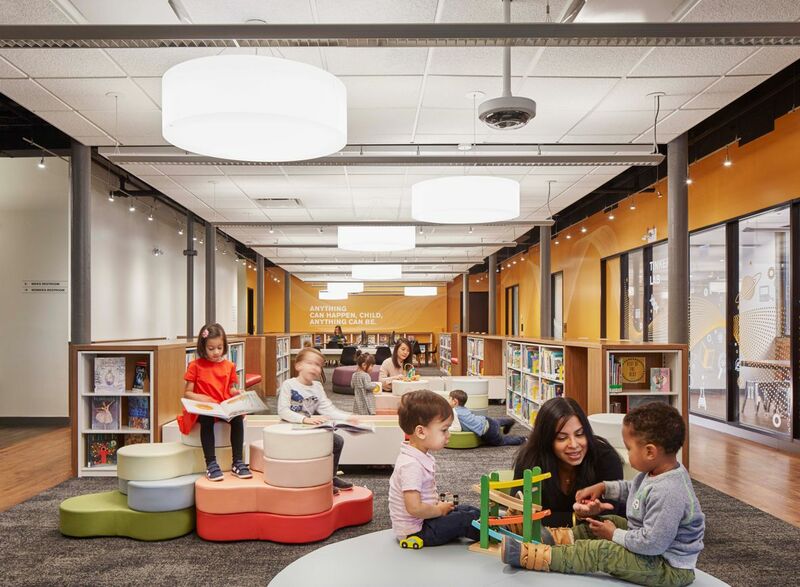 Aiming to make the library feel open and airy, the team removed non-structural partitions and created new openings in the parti wall between the two buildings. The architects also exposed elements that were concealed, such as skylights and a series of wooden bow trusses. 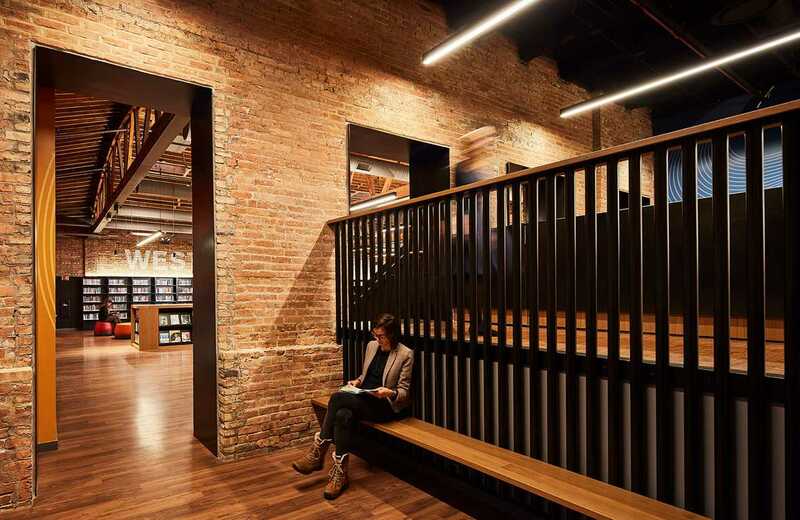 The result is a loft-like atmosphere that “reflects the West Loop’s factory-warehouse style”. Low-lying bookshelves allow for clear views across the library. The wooden shelving, along with blackened steel accents, intended to establish a sense of visual continuity. 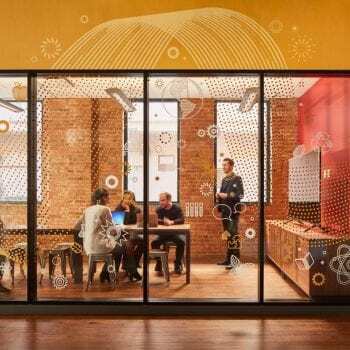 Alcoves were transformed into storytelling rooms that feature walls with magnetic and writeable surfaces. 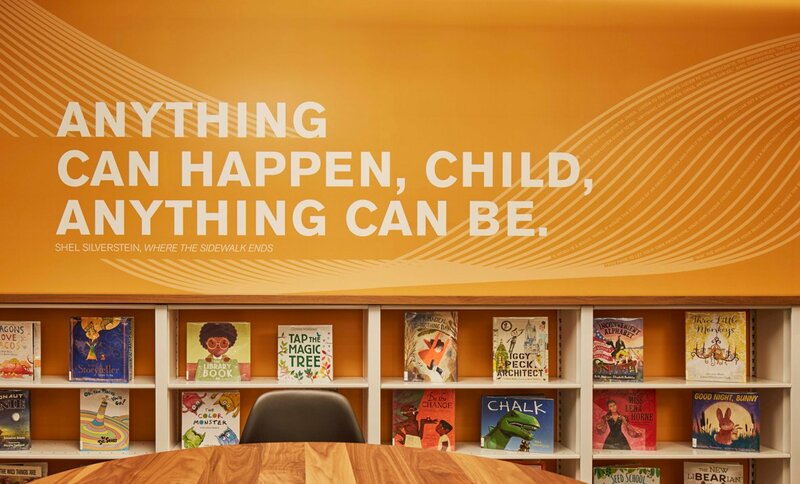 Graphics are used throughout the library to not only announce programmatic areas, but also to convey inspiring messages. 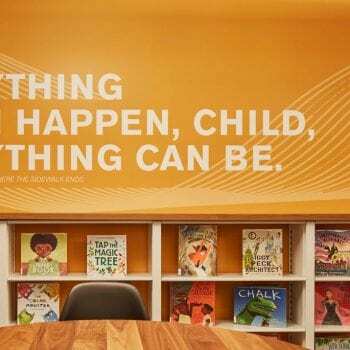 “Wall graphics featuring sound waves woven with excerpts from books selected by librarians allude to the power of words and stories,” the team said. 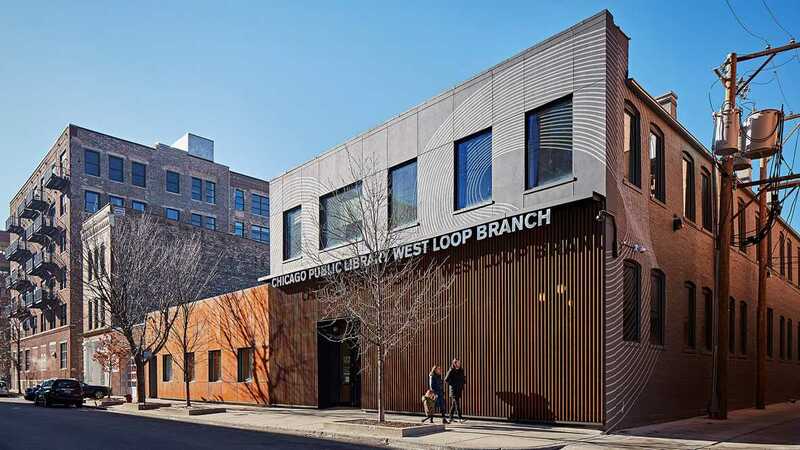 The West Loop Branch library is the result of a public-private partnership. 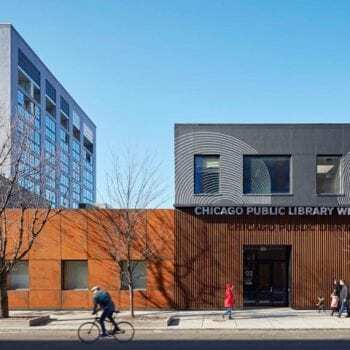 The existing building was donated by developer Sterling Bay, which transferred the unused air rights to a nearby hotel development, according to Curbed. Funding for the library came from the city and private donations. 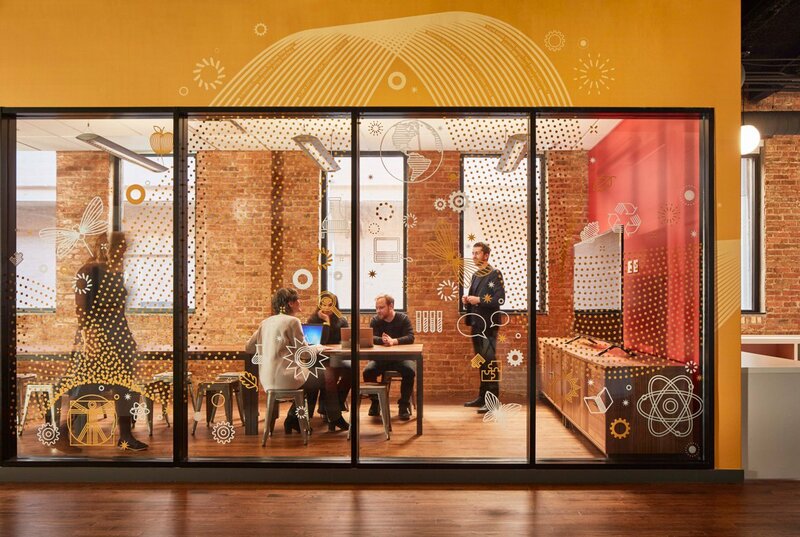 SOM is a global firm that opened its office in Chicago in 1936. 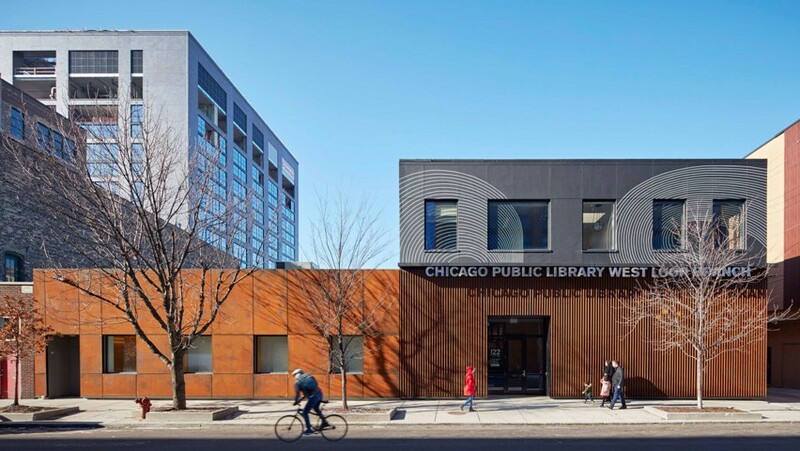 This is the second Chicago library completed by the firm, following the Chinatown Branch Library, which features a rounded form and aluminium fins. 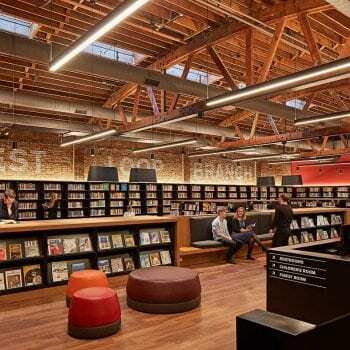 Instinct Furniture BLOG, mostly about cool libraries, furniture and design – keeping you abreast of our world. (Source: dezeen. Photography is by Tom Harris).